If you were the brand manager and had to target a segment of mobile people, what factors would you consider? It's clearly visible, the multitude of technology factors that have changed the dynamics of how a consumer operates in todays world. The customers are connected, hyperactive, multitasking, complex, irrational and have blurred imagination. This all combined together makes marketing a dilemma to get it right every time. I'd like to dwell briefly into each of these putting forth my perspective on what and how marketing and advertising has to go hand in hand. Today's customers are hyperactive and, given that almost all of them have multitude of devices where the marketing dilemma creeps in. How does one convey message to all the devices in a coherent manner, keeping the consumer engaged. This gets complicated and interesting with the choice of devices, combined with cloud infrastructure which means, there are far more greater number and, frequency of interactions. This makes the customer highly empowered in his day to day operations. Like, a customer might look up an app, search the net before deciding on a purchase right in front of the shelf at a super market. He makes an informed decision. conjunction with other devices like laptops, tablet or desktops, at home, during commute, or at work, often blurs the context of all the use. Multitasked customers are a market segment in itself. They work of multiple tasks and have access to one or more device and, the concentration span would not be as it would have been in earlier days, where a billboard or a TV advert would have managed to grab the attention. 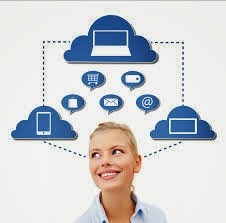 A multitasked and irrational customer while engaged with other work, would use devices to locate a store, find offers, compare physical prices with online prices, learn about promotions etc.. One goal has multiple screens now and, it's time to acknowledge the fact and plan marketing messages accordingly. The multi device makes the worker mobile, so there has to be means to capture where the engagement stopped to continue on other devices. More the connected customers, more elusive they are. They are complex with loosely defined emotions and charged motivations that can fizz out in a blink of an eye. They create goals that are like fiction. So, these challenges are paramount and, it's time to take a step back, integrate marketing strategy to company's business strategy to mobile strategy. It's all about connected customers and, they are informed and complex. The strategy has to evolve! !